Photo credit: Lexington Glassworks/Olive and West. From Chihuly&apos;s monumental glass sculptures at Biltmore to the many accomplished glass artists here in the area, Asheville is celebrating a Summer of Glass in 2018 in a big way. One experience in particular will provide you a truly immersive, hands-on discovery of glass art -- a once-in-lifetime opportunity. On the Summer of Glass VIP weekend tours, you&apos;ll meet artists who have helped shape the story of glass in North Carolina, go behind the scenes at artists studios not usually open to the public and make your own glass souvenir. In other words, the Summer of Glass VIP weekend tours are a ‘glass-lovers’ dream trip! 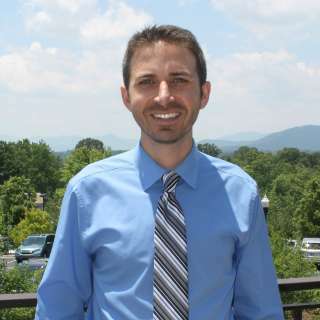 The packaged itineraries are not only a fantastic way to experience some of the best art glass in the nation, but also include your ticket to enjoy the beauty of the Blue Ridge Mountains, the splendor of Biltmore Estate, local Southern hospitality, the flavors of Asheville’s foodie culture and a fun-filled weekend to remember. 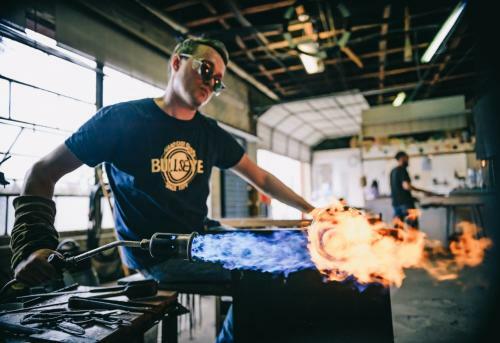 The tours are led by Asheville art insider guides with the Summer of Glass, all having intimate knowledge of the local glass scene&apos;s past and present. There are only three VIP weekend tours remaining, so make sure to purchase your tickets before this rare opportunity is gone. The next tours are scheduled for July 13-15, August 17-19 and September 7-9. A visit to the North Carolina and the Studio Glass Movement exhibition in the River Arts District. Guided visits to Bender Gallery, Blue Spiral 1 and Lexington Glassworks with a special welcome from the owners and directors. Both day and night tickets to the Chihuly at Biltmore exhibition. A hands-on experience at the North Carolina Glass Center where you can experience glass on your own! And, four amazing glass studio visits, including the studios of John Littleton & Kate Vogel, Rick & Valerie Beck, Mark Peiser and Dean Allison. Each of the artist studios you&apos;ll visit on the tour are rarely open for visitors. The artists are highly-skilled and well-known to art enthusiasts and collectors. All their studios are in the beautiful Toe River communities near Penland School of Craft. 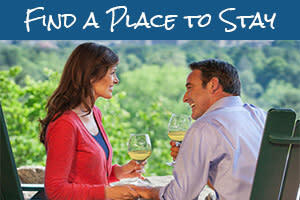 Purchase your tickets to the VIP Weekend Tour by visiting our Asheville Summer of Glass tours page. The video below highlights several of the artists that you&apos;ll meet on the tour! 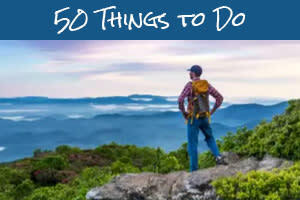 See our guide to the Asheville Summer of Glass for more information! 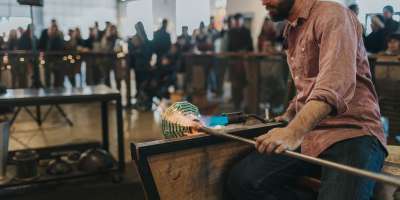 Photo of glassblowing at NC Glass Center by Nathan Rivers Chesky.